A root canal is a common procedure that dentists perform to treat certain types of tooth pain. During the procedure, the dentist will carefully remove dead, infected, and damaged pulp from the inside of the affected tooth (developed teeth can survive without the pulp), thereby eliminating the source of the pain. 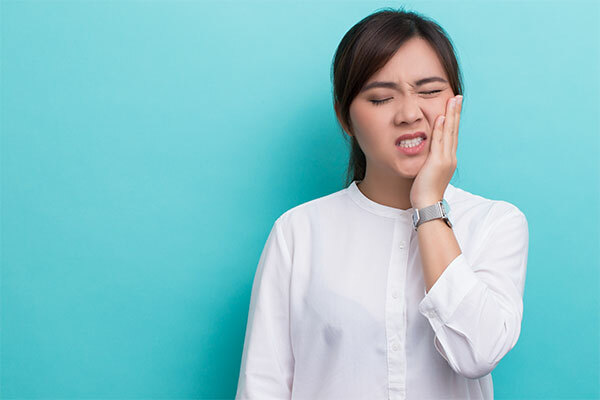 Although this procedure is highly effective for treating pain, sometimes patients still experience tooth pain after root canal, and today we’ll tell you five of the most common reasons why. One of the most common causes of post-root canal tooth pain is inflammation, which can be caused by the procedure itself or because the infection caused the tooth ligament to become swollen. In these cases, the swelling will subside in the days and weeks following the root canal, and the pain will resolve on its own. A root canal is often performed to remove infected pulp from inside the tooth, so it’s possible that there’s still some bacteria present after the procedure, and this can lead to infected tissue and more pain. Like with swelling, the problem should resolve itself once your immune system attacks and kills the bacteria, but if the problem persists, your doctor or dentist may recommend antibiotics. After your dentist removes the pulp from inside your tooth, the empty space is filled with a rubber-like material. If too much filling material is used, however, it will cause the tooth to sit higher, and this will cause pain any time you bite down. Although this problem won’t resolve on its own, your dentist can fix the issue easily by adjusting the filling. Some teeth, especially the molars, can have multiple canals, and it’s possible for a dentist to miss one or more of these during the procedure. In these instances, the initial cause of the pain never gets fixed, so you’ll still experience pain even after the root canal. Similarly, if the dentist happens to miss any of the damaged nerves inside the tooth that need to be removed, you may still experience pain when that tooth comes in contact with heat, cold, or something acidic. During the root canal, tissue damage can occur if bacteria is accidentally injected into the surrounding tissue, if too much filling material is used and flows past the root tip, or if a file used to clean the inside of the tooth slips beyond the root tip and pokes into the tissue below. In these cases, the pain will disappear when the damaged tissue heals. Root canals are an effective method for addressing problems caused by damaged or infected pulp, and this procedure is usually effective at eliminating tooth pain. However, if your tooth pain persists after the root canal, these are common issues that might explain the problem. In most cases, the tooth pain will resolve on its own, but if the pain is excessive or continues for more than five days, consult a dental professional as soon as possible.